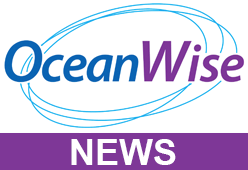 OceanWise hosted its annual Marine Data Management and GIS Workshop in London on 22 November 2017. A gathering of over 60 people were treated to a great programme of talks and demonstrations with the keynote provided by Ed Parsons, Geospatial Technologist at Google. Ed reinforced the role geography plays in our increasingly connected world by reminding the audience that everything is related to everything else through the power of ‘place’. The use of smart phones for personal navigation is now ubiquitous with geography at their core, even though this may not always be immediately apparent. Ed spoke about developments in ‘ambient computing’ and other digital technologies in respect to autonomous vehicles and more generally the ‘Internet of Things’, including devices that use geography to control the heating and other aspects of the home. The future is now! We then heard from Kirsty Ferris of MapAction about how immediate disaster relief using GIS set up on the ground in the immediate aftermath of a disaster makes such a big difference to affected communities in areas damaged by, for example, the hurricanes in the Caribbean and Central America. A plea for more volunteers to sign up was made highlighting how important this work really is. The interconnectivity of tide and weather data is vital in maritime operations, such as in vessel traffic services, pilotage, surveying and dredging, with standardisation the obvious way of making this happen. Mike Osborne of OceanWise suggested that whilst we have convergence in standards, the specifications based on these standards are diverging making interoperability more difficult. OceanWise’s Port-Log ‘Connect’ uses the international AIS Application Specific Messaging (ASM) specification 8-1-31 to help address this problem. However, further agreement between all relevant agencies to harmonise the interchange of maritime and environmental monitoring data is still required. Software tools available from OceanWise to enable Electronic Navigational Charts (ENCs) to be produced quickly and efficiently within hours of a port hydrographic survey was demonstrated by Caroline Levey. The tools combine the latest survey data with a central database of port information which provides Port and Bathymetric ENCs that are much more detailed, accurate and up to date when compared to official ENCs produced by national hydrographic offices. Caroline’s presentation was followed by an engaging demonstration by Mark Green, Chair of Tees Bay Pilots, of how the Port ENCs provided by OceanWise were essential in the safe delivery of the Brent Delta Platform to the Able Yard for decommissioning. Mark was aboard the Iron Lady barge as the Brent Delta was manoeuvred by four tugs into harbour and said that the Port ENCs allowed dynamic decisions to be made with confidence as the planned route was refined due to changing weather conditions and vessel draught. CCO Director, Travis Mason, presented how the Channel Coastal Observatory (CCO) collects and shares mapping and environmental observations for the coastal zone of England. The presentation mentioned the recently launched CCP Application Programming Interface (API), which is being trialled by OceanWise to integrate CCO’s wave and water level data with Port-Log, and make this data available to UK Ports. Travis also showcased how an Autonomous Surface Vessel (ASV) and a remotely operated Drone were recently deployed to acquire high resolution mapping for an area of Hampshire in a novel and cost effective way. RYS Race Officer, Matt French, explained how the deployment of OceanWise’s telemetry and data sharing products and services were being used on the Royal Yacht Squadron’s (RYS’) Committee Boats, including during the prestigious Cowes Week event, and conveyed the small margins that exist between success and failure when it comes to yacht racing in variable winds and currents. The day was nicely rounded off with a presentation by Gareth Burns, Marine Fisheries Officer at the Agri-Food and Biosciences Institute (Northern Ireland) which showed the difference high resolution marine mapping data can make to the management of marine resources and how underwater image recognition and machine learning might make the counting of Nephrops’ burrows more accurate and less laborious.